For international shipping try using MyUS.com. Create an account then purchase products as if you live right here in Florida. You can receive products within 2 days if necessary. We now serve over 200 countries! If you are not 100% satisfied with your purchase you may return it within thirty (30) days after the purchase date. Please review our below policy as it relates to returns. 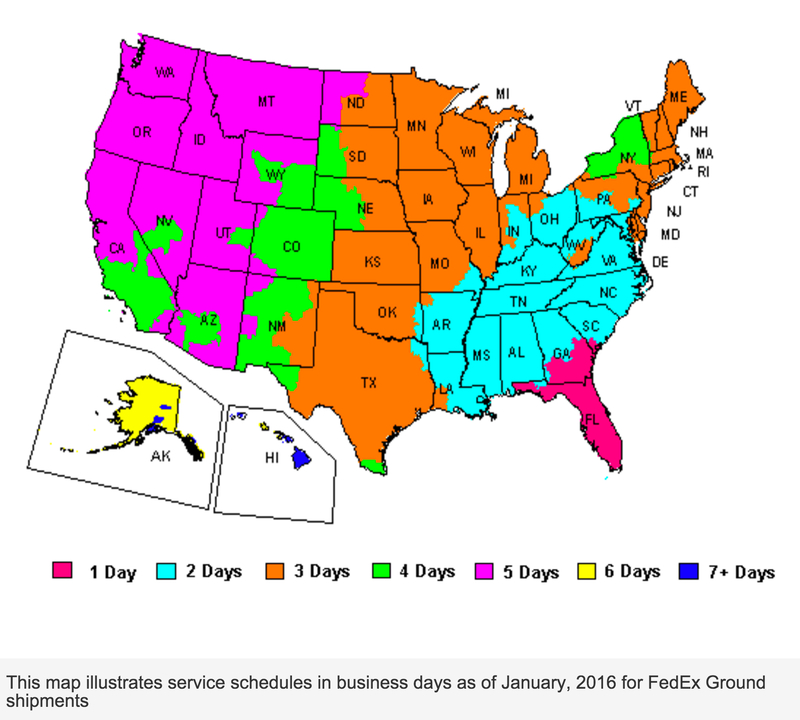 All returns or exchanges must be postmarked within 30 days of product delivery date. Returned items postmarked after 30 days will not be processed and will be returned to the sender at the senders expense. All returns must be in new, unworn, and undamaged condition. Any product(s) showing signs of wear or being soiled in any way will not be accepted for exchange or return. These products will be returned to the customer and a $15.00 inspection/shipping fee will be charged. The card used to purchase the product will be charged. Please be sure to ship everything included with your order to include product tags, stickers, inserts, boxes, bags, and labels. Missing items will create additional handling charges of $10.00. Returned items will be assessed a 20% restocking fee. Returned items without a RMA (return authorization number) will not be refunded. A returned item is an item that is being sent back for credit to be applied to the credit card used to purchase the item. The customer is responsible for shipping charges on returned items and any package refusals (ie: if the customer refuses delivery of their order, the cost of UPS or FedEx sending the box back to Medical Distribution Group, Inc will be deducted from the refund. The "refused package" cost is $15.00). Products being replaced with like kind and quality products or more specifically a different size can be exchanged without a restocking fee. Additional shipping charges will apply. Please insure your return for the full value of the merchandise. If you do not hear from Medical Distribution Group, Inc within 2 weeks of shipping the return please contact customer service. Limited Warranties- Products we distribute may or may not come with a limited warranty from the manufacturer. Please see warranty on the product packaging or by visiting the individual manufacturers website. For additional questions please contact Medical Distribution Group directly. We will ask you when we need information that personally identifies you (personal information) or allows us to contact you to provide a service or carry out a transaction that you have requested such as receiving information about Medical Distribution Group, Inc, products and services, entering a contest, ordering e-mail newsletters, joining a limited-access premium site or service, signing up for an event or training, or when purchasing, downloading and/or registering Medical Distribution Group, Inc products. The personal information we collect may include your name, title, company or organization name, work e-mail, work phone, work or home address, information about your job function, information about your company, and credit card information. The Site may collect certain information about your visit, such as the name of the Internet service provider and the Internet Protocol (IP) address through which you access the Internet the date and time you access the Site the pages that you access while at the Site and the Internet address of the Web site from which you linked directly to our site. This information is used to help improve the site, analyze trends and administer the site. In support of these uses, Medical Distribution Group, Inc may use personal information to provide you with more effective customer service, to improve the Site and any related Medical Distribution Group, Inc products or services, and to make the Site easier to use by eliminating the need for you to repeatedly enter the same information or by customizing the Site to your particular preference or interests. In order to offer you a more consistent experience in your interactions with Medical Distribution Group, Inc, information collected by Medical Distribution Group, Inc may be combined with information collected by other Medical Distribution Group, Inc’ s services. We may use your personal information to provide you with important information about the product or service that you are using, including monthly specials and notifications. Additionally, with your permission, we may send you information about other Medical Distribution Group, Inc products and services, and/or share information with Medical Distribution Group, Inc partners so they may send you information about their products and services. When you sign up for a newsletter or agree to receive promotional e-mail, Medical Distribution Group, Inc may use customized links or similar technologies to track e-mail links that you click. We may associate that information with your personal information in order to provide you more focused e-mail communications or purchase information. Each e-mail communication includes an unsubscribe link allowing you to stop delivery of that type of communication. Some services on Medical Distribution Group, Inc offer individuals the ability to publicly display certain personal information, such as for an Medical Distribution Group, Inc, partner who wishes to publish contact information as part of offering a business service. Participation in such services is always optional. Medical Distribution Group, Inc occasionally hires other companies to provide limited services on our behalf, such as Web site hosting, packaging, mailing and delivering prizes, answering customer questions about products and services, and sending information about our products, special offers, and other services. We will only provide those companies the personal information they need to deliver the service. They are required to maintain the confidentiality of the information and are prohibited from using that information for any other purpose. Medical Distribution Group, Inc may disclose personal information if required to do so by law or in the good faith belief that such action is necessary to (a) conform to the edicts of the law or comply with legal process served on Medical Distribution Group, Inc or the Site (b) protect and defend the rights or property of Medical Distribution Group, Inc and our family of Web sites or act in urgent circumstances to protect the personal safety of Medical Distribution Group, Inc employees or agents, users of Medical Distribution Group, Inc products or services, or members of the public. Personal information collected on the Site may be stored and processed in the United States or any other country in which Medical Distribution Group, Inc or its affiliates, subsidiaries or agents maintain facilities, and by using the Site, you consent to any such transfer of information outside of your country. Medical Distribution Group, Inc abides by the safe harbor framework as set forth by the U.S. Department of Commerce regarding the collection, use, and retention of data from the European Union. Except as otherwise described in this statement, personal information you provide on the Site will not be shared outside of Medical Distribution Group, Inc and its controlled subsidiaries and affiliates without your permission. As described below in the next section, you can access your personal information and make choices about how you wish to be contacted. Please be aware that this privacy statement and any choices you make on the Site will not necessarily apply to personal information you may have provided to Medical Distribution Group, Inc in the context of other, separately operated, Medical Distribution Group, Inc products or services. Medical Distribution Group, Inc may send out periodic e-mails informing you of technical service or security issues related to a product or service you requested, or confirming you requested a product or service. In some services offered by Medical Distribution Group, Inc contact with the customer is an intrinsic part of the service. You will not be able to choose to unsubscribe to these mailings, as they are considered an essential part of the service(s) you have chosen. You can review and edit the personal information and contact preferences you provided at this Site by logging into your account. You will be asked to enter your username and password before viewing your personal information. View and edit personal information you have already given us at Medical Distribution Group, Inc.
Medical Distribution Group, Inc is committed to protecting the security of your personal information. We use a variety of security technologies and procedures to help protect your personal information from unauthorized access, use, or disclosure. For example, we store the personal information you provide on computer servers with limited access that are located in controlled facilities. Additionally, when we transmit sensitive personal information (such as a credit card number) over the Internet, we protect it through the use of encryption, such as the Secure Socket Layer (SSL) protocol. Web beacons, also known as clear gif technology, or action tags, may be used to assist in delivering the cookie on our site. This technology is a tool we use to compile aggregated statistics about Medical Distribution Group, Inc Web site usage, such as how many visitors clicked on key elements (such as links or graphics) on a Medical Distribution Group’s page, blog or a newsletter. We may share aggregated site statistics with partner companies. If you have questions regarding this statement, you should contact Medical Distribution Group, Inc.
Medical Distribution Group, Inc welcomes your comments regarding this privacy statement. If you believe that Medical Distribution Group, Inc has not adhered to this privacy statement, please contact us electronically or via postal mail at the address provided below, and we will use commercially reasonable efforts to promptly determine and remedy the problem.